Peter Dundas is the creative mind behind some of Beyoncé's most memorable looks, and his impressive résumé been on our radar for years - we couldn't have been more excited when the designer launched his own label. 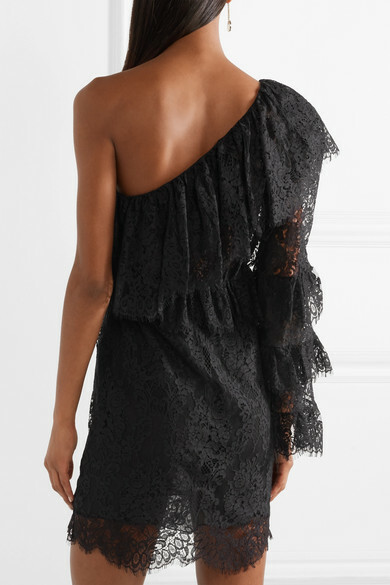 This romantic mini dress is made from weightless cotton-blend lace with a ruffled sleeve and overlay that adds coverage to the sheer bodice. 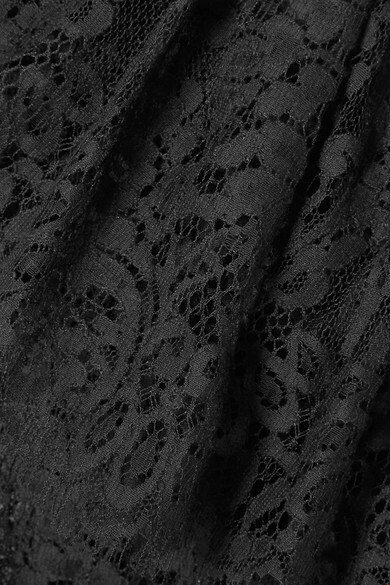 The elasticated waist ensures a flattering and comfortable fit. Shown here with: The Row Clutch, Aquazzura Sandals, Commando Briefs, Arme De L'Amour Earrings.